TORONTO, April 17, 2019 /CNW/ - A Markham area man has been charged after allegedly trying to sell a car with a rolled-back odometer to an undercover shopper from OMVIC, Ontario's vehicle sales regulator. The charges came just weeks after 34 charges were laid against the man for the same alleged activity. OMVIC's latest investigation began after a call from a concerned consumer who had responded to a Kijiji ad for a vehicle. The 'private seller' who had posted the ad allegedly showed the consumer a number of vehicles he had stored behind a Scarborough apartment complex. 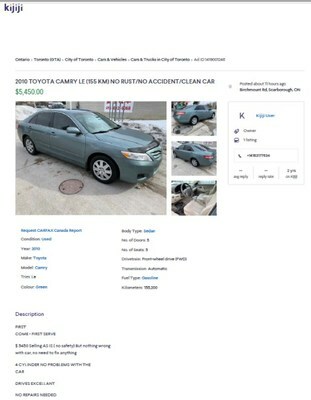 OMVIC's Investigations team then deployed an undercover shopper who responded to a Kijiji ad posted by the same seller for a 2010 Camry with an odometer reading of 155,000 km. The Camry had been sold earlier in 2019 with approximately 217,000 kms on the odometer. 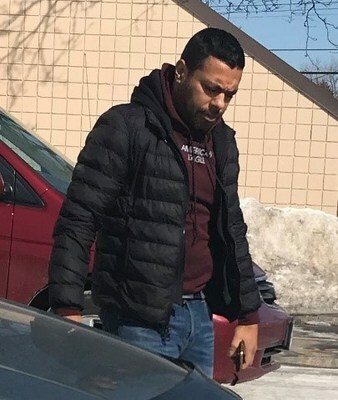 When the undercover shopper met the seller at 1110 Birchmount Road in Scarborough, the seller was identified as Arif Syed. Syed allegedly told the undercover investigator he had five more vehicles for sale parked behind a Carabob Court apartment building. Investigators confirmed that five cars, all without license plates, were present. Around the same time Syed also allegedly sold a 2011 Nissan Altima with an odometer reading of 131,590 to a recent immigrant from China. The consumer had seen the automobile advertised on Kijiji and paid Syed $5400 in cash. OMVIC's investigation found the Nissan had been sold to Syed for $3000 in February 2019, when the odometer read approximately 229,000 kilometers. "OMVIC is warning the public not to buy vehicles from, or sell vehicles to, Arif Adnan Syed," states Don Cousens, OMVIC's Manager of Investigations. "We believe this individual's alleged actions pose a serious threat of consumer harm. As previous charges have not stopped him from continuing the illegal sale of odometer tampered vehicles, we are releasing his picture in hopes of warning the car-buying public." Arif Syed is described as male, 36 years of age, 5'6", with short black hair, a brown complexion and stocky build. Consumers who bought a vehicle from Arif Adnan Syed are encouraged to purchase a UVIP or CARFAX Canada report to verify mileage, and to contact OMVIC's Complaints and Inquiries team at 1-800-943-6002 x3942. In January 2019, Syed was charged with 22 counts of curbsiding (acting as a dealer without OMVIC registration) and 12 counts of committing an unfair business practice (making false, misleading or deceptive representations) in contravention to the Consumer Protection Act. Euro Premium Auto Ltd., a company directed by Syed, was charged with 13 counts of curbsiding in violation of the MVDA, and six counts of committing an unfair business practice (making false, misleading or deceptive representations), in contravention to the CPA. Syed is the director of Euro Premium Auto Ltd. Note: Euro Premium is not a registered dealer. For more information related to these charges click here. Arif Syed was also charged and prosecuted by OMVIC for curbsiding in 2015 - he was convicted and fined $5,000. 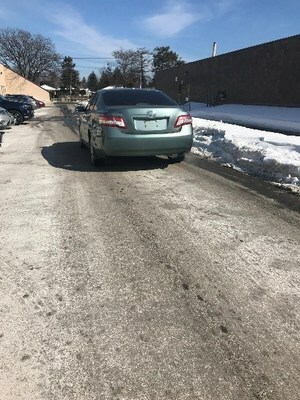 Desi Auto Body and Used Parts Ltd., and 1715130 Ontario Inc., operating as Desi Auto Body, two companies directed by Syed, were also convicted at that time of curbsiding and committing unfair business practices in contravention of the Consumer Protection Act and were fined $12,500 each. The Motor Vehicle Dealers Act requires ALL vehicle dealers and salespeople to be registered with OMVIC. Curbsiders are illegal, unlicensed dealers. Just as curbsiders commonly misrepresent themselves—often posing as private sellers—they frequently misrepresent the vehicles they sell; many are rebuilt write-offs or are odometer-tampered. While curbsiders commonly pose as private sellers, many sell from small automotive-related businesses like repair centres or body shops. If a consumer is unsure whether a business selling vehicles is actually registered, they should search OMVIC's website, or ask to see the seller's OMVIC licence – if it does not match the vehicle registration, ask why. If they are unable to produce one, walk away! the vehicle is not registered to seller, or, has only been registered to the seller for a short period of time. the vehicle is priced below market value. the seller doesn't provide the mandatory Used Vehicle Information Package (UVIP), or provides a UVIP that has been tampered with (e.g. lien or mileage info removed) or with missing pages. the seller refuses to allow an inspection by purchaser's mechanic. the vehicle is not plated and/or insured or a test-drive is not possible. the seller refuses to provide a receipt or proof of purchase. For more information on how to avoid curbsiders click here. To report a suspected curbside, call 1-888-NO-CURBS (662-8727) or email nocurbs@omvic.on.ca. Information can be reported anonymously. OMVIC makes information public related to charges and convictions of registrants (dealers/salespeople) and curbsiders. Click here to view. Rolled-back odometers are rarely an issue with vehicles sold by OMVIC-Registered Dealers, in part, because the possible ramifications can be severe; however, odometers are frequently problematic with vehicles sold by curbsiders and even by some dishonest private sellers. Devices capable of reprogramming odometers in many of today's computerized vehicles are readily available online as are "odometer correction services." These easily accessible methods mean vehicles with rolled-back odometers are increasingly offered for sale online. Therefore, consumers buying a vehicle privately must be extra vigilant. Identifying a vehicle with an altered odometer can be very difficult; however, there are steps consumers can take that may help spot them. A Used Vehicle Information Package (UVIP) available from ServiceOntario or a CARFAX Canada history report may contain historical odometer readings. Carefully review these reports before agreeing to turn over any money to a private seller. Note: Private sellers in Ontario are required by law to provide a UVIP to the purchaser, however purchasers may want to obtain their own. OMVIC is aware of instances in which sellers have altered a UVIP to remove odometer or lien information. Additionally, as the odometer readings reported on the UVIP are unverified, minor discrepancies can exist and may not indicate an actual rollback. A pre-purchase inspection by an experienced mechanic/technician may uncover evidence (e.g. unusual wear) that indicates a roll-back. An inspection can also alert the buyer to mechanical issues the seller did not disclose or was unaware of. Worn upholstery or steering wheel. Worn rubber pad(s) on brake/gas/clutch pedal(s). Failure by a registered dealer to disclose that a vehicle's odometer does not reflect the true distance a vehicle has travelled is grounds for rescission within 90 days of delivery. Consumers who suspect the odometer of the vehicle purchased from an OMVIC-Registered Dealer has been rolled back should contact OMVIC's Complaints & Inquiries Team. Consumers who purchase a rolled-back vehicle from a curbsider or private seller are not protected by OMVIC's Compensation Fund. While OMVIC may charge and prosecute curbsiders, often the only recourse for private purchasers to obtain financial relief is to find the seller and sue civilly. OMVIC (Ontario Motor Vehicle Industry Council) administers and enforces the Motor Vehicle Dealers Act (MVDA) on behalf of the Ministry of Government and Consumer Services. OMVIC maintains a fair and informed vehicle sales marketplace by regulating dealers and salespersons, regularly inspecting Ontario's 8,100 dealerships and 30,000 salespeople, maintaining a complaint line for consumers and conducting investigations and prosecutions of industry misconduct and illegal sales (curbsiding). OMVIC is also responsible for administering the Motor Vehicle Dealers Compensation Fund on behalf of its Board of Trustees.